Bill Barnert has a Masters in Human-Computer Interaction from Tufts, and an Sc.B. in Computer Science Engineering from Brown. He has been a User Experience Designer longer than he knew the term existed, designing & implemented user interfaces since 1978. 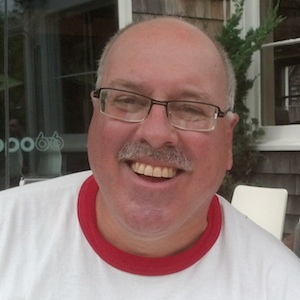 He sits on the Steering Committee for BostonCHI, and founded the loose umbrella group Boston Interactions. He has a patent pending that he co-designed with Karen Donoghue on a system to allow you to send data to the person you are currently on a mobile call with. UX designers share examples of good, bad, and awful user experience and user interface design.